Lanzarote apartment in Puerto del Carmen with 1 bedroom to accomodate 2 adults and 2 children under 12 years old or 3 adults and one children under 12 years old. The apartment has one bedroom with 2 beds and a sofa bed in the sitting room. The kitchenet has the cooking and eating essentials needed for self catering stay. 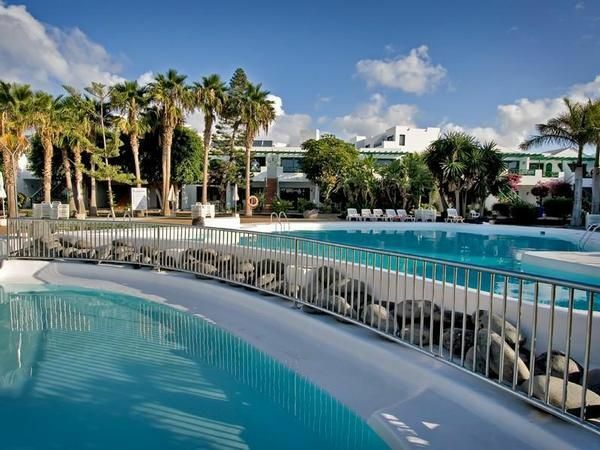 The apartment is in a very nice resort with lovely pools, pool bar and short walking distance to the beach and shopping area.and only 10 kms from the airport. MAXIMUN CAPACITY: 2 adults and 2 children under 12 years old or 3 adults and one children under 12 years old. - Internet: per object and day according to consumption (Mandatory). - wifi - sat tv- safe: per object and day according to consumption (Mandatory).